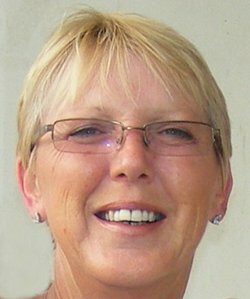 Wendy Cartmell is the author of 15 crime novels and a reader for the Crime Writers Association Debut Dagger competition. She writes a book review blog and is a member of Netgalley and Goodreads. She is also a member of the International Thriller Writers Association. She is a regular editor of fiction including short stories, historical novels, thrillers and memoirs. Her beta reading projects have included thrillers, mysteries, romantic comedy and historical novels. A BA (Hons) in Education and English was gained from Reading University and she was a primary teacher for a number of years. She also worked in communications for large corporate companies in the press offices and as an editor of in-house newspapers. She is the author of the Amazon #1 Bestseller STEPS TO HEAVEN and the subsequent 7 Sgt Major Crane crime thrillers, 4 Crane and Anderson crime novels and the 3 books in the Emma Harrison mystery series. An avid reader of mostly crime fiction she has eventually decided to put her reviews in one place on the blog section of this website. My background is in corporate communications and education. I am a published mystery/thriller author and have copy edited short stories, novellas, memoirs and novels. Let me make your book as error-free as possible, combined with an understanding of the author’s unique style.